The story of Shazam! begins in earnest in present-day Philadelphia. The protagonist is a 14-year-old boy named Billy Batson. He has run afoul of the law many times over the years in an attempt to find his birth mother. Social workers have placed him in various foster homes, but none of these attempts proved successful. In a last ditch effort to give him a stable living situation, they place Billy in a group home run by Victor and Rosa Vazquez. They have custody of five other kids: Mary Bromfield, Pedro Peña, Eugene Choi, Darla Dudley, and Freddy Freeman – the last of whom is to be Billy’s new roommate. In 2011, DC Comics had rebooted their entire continuity, leading to different interpretations of their famous characters – some more obvious than others. Billy Batson in particular was retooled into teenager frequently rude and sullen – a far cry from his original, cheerful personality. This version of Billy Batson is thus a compromise between these two interpretations. He is decidedly cynical, as evidenced when he tricks the police and is uninterested in being a part of his new family, believing his mother is the only one who counts. Despite this, he proves he has the spirit of a hero long before he says the magic word when he assaults two bullies picking on Freddy. A superhero film wouldn’t be complete without a supervillain for them to fight, yet Shazam! opts to empower the latter first. As anyone familiar with the DC Captain Marvel knows, Shazam’s archnemesis is Doctor Thaddeus Sivana. This is the identity of the boy who rode in the car with his bully of an older brother and apathetic father. Shortly after returning to his world, Thaddeus tried to tell them of what he saw, but his father used the opportunity to belittle him even more. This caused Mr. Sivana to lose control of his car and get in an accident. Though all three of them survived, Mr. Sivana lost his legs, prompting him to disown his younger son. Since that day, Doctor Sivana has been obsessively attempting to return to the wizard’s domain. He has founded his own enterprise to pursue this goal and after using the testimonies of others who underwent the same trial, he returns to the Rock of Eternity. With the wizard succumbing to his age, Doctor Sivana has little trouble obtaining the power of the Sins, becoming their champion. The first thing he does upon receiving his powers is take revenge on his older brother and father, pointedly killing the latter with Greed as he begs for his life. With a powerful, new threat walking the Earth, the wizard realizes he is completely out of options. After Billy defends Freddy from two bullies and successfully evades them, he finds himself at the Rock of Eternity just like Doctor Sivana had more than four decades prior. However, the wizard doesn’t test his spirit, instead trusting that he will use his powers for good. 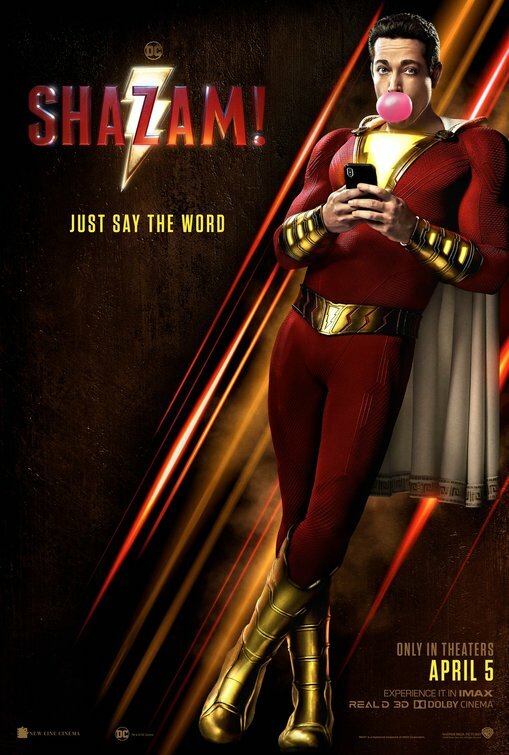 Combining the wisdom of Solomon, the strength of Hercules, the stamina of Atlas, the power of Zeus, the courage of Achilles, and the speed of Mercury, Billy is instructed to yell “Shazam!” When he does, he finds himself transformed into an adult superhero. 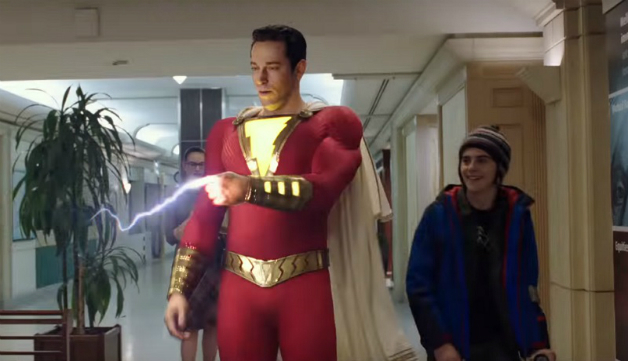 Many critics when handed the premise of Shazam! likened it to Penny Marshall’s famous comedy Big. Although Shazam, also known as Captain Marvel, was created in 1939, why one would draw the comparison is obvious. Despite his older appearance when using the wizard’s power, Billy’s personality is largely unchanged. Though he eventually learns to control his transformation, he is a teenager in an adult’s body. 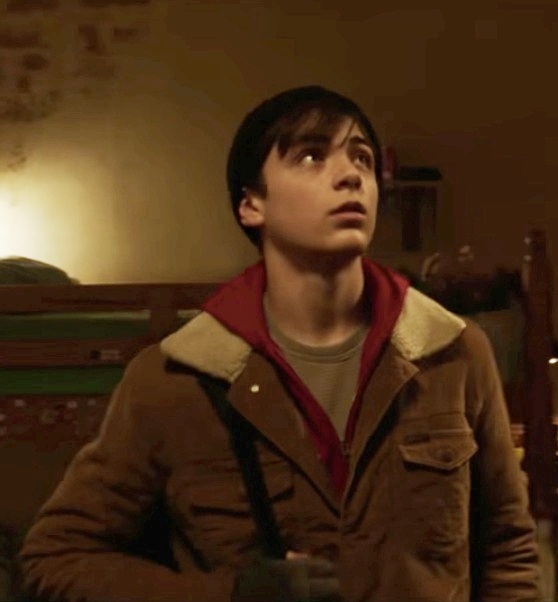 This forms the backbone of much of the film’s humor, for Zachary Levi’s portrayal of Billy is exactly the same as that of the younger Asher Angel’s. The production team knew full well how similar the premise of their work was to that of Big because they even shot a sequence in which Shazam and Doctor Sivana walk across a giant piano in a toy store. For that matter, Shazam! seems to take cues from several classic eighties films starring young protagonists. This is a film in which the school board is weirdly selective about enforcing its rules and students swear rather liberally. The bullies especially don’t seem as though they would be out of place in a Stephen King novel. They are the type who cannot suffer any defeat lightly and will hunt down dissidents with a terrifying determination. Their defining act is to commit vehicular assault, running over Freddy in their attempts to park in front of the school. The only way they could be worse is if the writers gave him homicidal tendencies. It is therefore highly satisfying when Billy destroys their car and they suffer a particularly ironic humiliation in the final act. Shazam! also seemed to also take cues from Josh Trank’s Chronicle in that it takes a realistic look as to what would happen if a troubled teen suddenly gained superpowers. Billy has the powers of a god, and he uses his newfound abilities to make videos with Freddy, posting them on a streaming website. He then uses his newfound fame to take selfies with the people of Philadephia, charging them money for the privilege. On top of that, his first notable feat of heroism, catching a bus teetering on the edge of a bridge, was only necessary because his lack of control over his powers put those people in danger to begin with. Perhaps the most affecting moment of the story occurs when Billy finally finds his mother. After learning she lives close to the group home, he rushes off to meet her. It was highly suspicious that only Billy seemed to be making an effort to reunite with her, and, sure enough, the reunion is less than ideal. She had deliberately left him in the foster system because she felt he would be better off that way. She had him as the result of a teenage pregnancy, and her subsequent, messy divorce took its toll on her. As if that wasn’t enough, she now finds herself in what is strongly implied to be an abusive relationship. Billy is devastated, and he gives back the memento from the day in which they were separated. In a silver lining, this one act causes Billy to realize who his real family is. Admittedly, it is a bit strange that the police never learned Billy’s mother reverted to her maiden name, but it doesn’t make this scene any less powerful. While Shazam! could be compared with Chronicle, it’s much more of a gentle examination of this kind of plot than that of Josh Trank’s directorial debut. Indeed, the narrative tone takes a subversive tone just as often for humor as it does for drama. When Billy takes advantage of his older form to purchase alcohol, he and Freddy spit it out immediately – just like any other kid attempting to drink beer for the first time. In one scene, Billy is given a chance to test his powers by saving a woman from being mugged only to learn she fended off the criminal with pepper spray – as is expected for anyone living in a big city such as Philadelphia. As Billy and Doctor Sivana prepare for the final battle, the latter delivers a fairly standard villain speech, but it falls on deaf ears because they are roughly a mile away from each other. Billy has godlike powers as Shazam, but super hearing isn’t one of them. David Sandberg’s take on Doctor Sivana provides an interesting contrast with his comics counterpart. His classical interpretation brings to mind Lex Luthor in how he is an ordinary human who attempts to fight a demigod. He uses his technological innovation to provide a match for the innately powerful Captain Marvel. In this film, the writers opt to empower him in a way that doesn’t simply make him Shazam’s equal and opposite. This is because while he does gain powers, they aren’t his; they belong to the Sins. Without the Sins’ influence, he is just as powerless as his more familiar counterpart. He makes it a point to only summon six of them at once. Appropriately, the one that remains with him is Envy. It shows how damaging envy is, for even taking revenge against his father and older brother wasn’t enough to satiate his bloodlust. He is furious when he learns the wizard Shazam has chosen a random teenager as his champion and will stop at nothing to obtain that power for himself. Consumed by his jealousy, he has become a monster far worse than that of his reviled family members. Ultimately, Shazam! succeeds where many other DC Extended Universe films fell short because handles its mixture of tones very well. The film has a mostly lighthearted aura to it, but it knows when to put on a serious face. When Doctor Sivana attacks his father’s boardroom, one of the Sins bites a person’s head off. Because of this, the greatest part of Billy’s arc is watching him master his powers and become an ideal hero after previously using his powers for his own amusement and benefit. You know he has made it when, after capturing the Seven Deadly Sins, he completely resists the temptation to use their power – but not before pretending otherwise to mess with his friends, of course. Shazam! is the seventh installment in the DC Extended Universe. Up until the release of this film, Wonder Woman was the only installment critics universally agreed to be good. Every other release left critics and fans alike divided. While it would be difficult to argue the DC Extended Universe was outright bad, it clearly didn’t have the same track record as the rival Marvel Cinematic Universe. While one couldn’t gauge at the time whether or not Shazam! turned the tide in the DC Extended Universe’s favor, Mr. Sandberg’s work proved the sudden spike in quality with Wonder Woman was not an accident. Both films were conceived by people who clearly knew what made the characters so appealing, and the acting performances captured them perfectly. Shazam! specifically gets a lot of credit for lending the universe a sense of fun it had been sorely lacking. However, I would go one step further and posit Shazam! was the single greatest film the franchise had known by that point in history. This is because, as good as Wonder Woman was, it had a weak third act that spilled a lot of its goodwill. Shazam! doesn’t have this problem; it’s a solid film from beginning to end with an excellent cast and a lot of heart. Even if you haven’t been following the DC Extended Universe or were burned out as a result of its previous entries, Shazam! is worth seeing for yourself. Not seen it, but I did walk past an enormous poster of it on my way into Manchester this morning. Sounds like fun! A more interesting take on superhero films, which I’ve grown rather weary of. Yeah, I can definitely recommend it to anyone. It was fun, clever, and full of a lot of interesting turns. As I said, I think it stuck the landing far more gracefully than Wonder Woman. I think I haven’t walked into a movie so excited to see it since Ready Player One. Shazam! was something else, alright. It was an excellent change of pace from the DCEU’s usual fare. Hopefully, they can keep up the momentum.